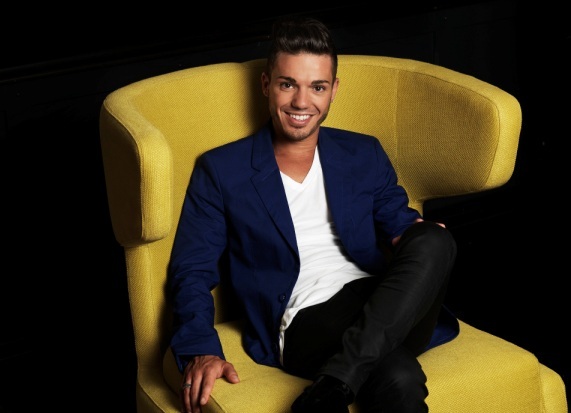 Anthony Callea, one of Australia’s finest vocal talents, is thrilled to reveal details of his upcoming headline tour. The ‘THIRTY Live In Concert’ tour will see Anthony take the songs from his new album ‘THIRTY’ to audiences across the East Coast, kicking off July 13 at The Palms at Melbourne’s Crown Casino and continuing through NSW and QLD for seven dates in July and August. In addition, Anthony will visit shopping centres around the country in April and May for a series of special in-store appearances. Fans will be able to experience Anthony’s incredible live vocals and have their albums signed at these exclusive one-off events in Sydney, Melbourne, Brisbane and Adelaide. After signing with ABC Music earlier this year, Anthony took to the studio to record his anticipated new album ‘THIRTY’, which is released today. Teaming up with producer James Kempster, who worked on Anthony’s 2005 ARIA chart-topping self-titled release, ‘THIRTY’ includes ten covers along with two beautiful originals, ‘My All’ and ‘I’ll Be The One’, taking listeners on a journey through the past thirty years of beautifully written tracks that have most impacted and influenced him. Anthony’s song choices include cover tracks from the 80’s (Cheap Tricks’ ‘The Flame’ and Heart’s ‘Alone’) through to the 90’s (‘When You Believe’, ‘Go The Distance’) and Naughties (‘Leave Right Now’, ‘Dance With My Father)’. With original tunes, ‘My All’ and ‘I’ll Be The One’ in the mix, as well as Italian anthems ‘Nella Fantasia’ and ‘Di sole e d’azzurro’ and a selection of classic favourites, this will be the most anticipated album from this supremely talented performer. Anthony recently shot the video for ‘My All’ in Melbourne with local videographer Prad Senanayake, who has worked with the likes of Ricki Lee, 360, Something For Kate and more. The clip is a moving visual narrative that explores different types of relationships and features a cameo appearance from Anthony’s partner, Tim Campbell, about whom the song was written. Anthony Callea is one of Australia’s favourite and most recognised singers and performers. The ARIA Award winner began singing at the age of 5, and now at the age of 29, has forged a highly successful music career with that most powerful, passionate and pure voice. Introduced to the country via Australian Idol in 2004, his debut single The Prayer became Australia’s fastest and highest selling single of all time with sales in excess of 4 x platinum, and was at the top of the charts for an amazing 5 weeks. Anthony has well and truly proven to be one of this country’s most successful recording artists. Anthony followed his debut single with another multi-platinum Number 1 single, Rain/Bridge Over Troubled Water and a self-titled multi- platinum Number 1-selling album. Another two Top 10 hits came off this debut album with Hurts So Bad and Per Sempre. He embarked on an international song writing trip for his sophomore album A New Chapter was accredited Gold and featured two top 20 singles with Live for Love and Addicted To You. Anthony also released a Live Concert DVD which debuted at No 3 on the ARIA DVD Charts, sold Platinum and later screened as a television music special on Foxtel. Anthony has embarked on two successful national concert tours, playing to sell-out crowds across Australia and appeared as a special guest for touring international superstars including Ms Diana Ross, Westlife, Celine Dion and more recently Whitney Houston. Anthony has also performed for a host of international dignitaries including the late Luciano Pavarotti, Her Majesty Queen Elizabeth II and the Duke of Edinburgh, Prince Frederik and Princess Mary of Denmark. Anthony has appeared on many special television events such as the Logies, Australia Day Concert, The ARIA Awards, Good Friday Appeals and is a favourite and regular on Vision Australia’s Carols by Candlelight to name a few. Anthony’s entertainment and mentoring skills have been witnessed by millions of television viewers in recent years as he featured on Channel Seven’s It Takes Two and Foxtel’s Ultimate School Musical. 2011 saw Anthony release the single ‘Oh Oh Oh Oh’ co-written with the Black Eye Peas’ DJ Poet. In the past couple of years Anthony has been travelling and writing music with Australian and international writers and producers creating his sound and musical footprint. March 2012, saw Anthony release his latest track 'Last To Go' from the EP also titled 'Last To Go'. The title track was co-written and produced with the DNA boys. Other tracks from the EP were co-written with the likes of Paul Mac, Matt Morris and Jaakko Salovarra. 'Last To Go' EP is out now on iTunes worldwide. Whilst touring this EP, Anthony has taken his dynamic vocals and energetic performance style to Los Angeles and Las Vegas where he performed to packed houses in West Hollywood and the famous Planet Hollywood on the Vegas strip.